Last season, there seemed to be a higher number of ankle sprains suffered by VDL players. I saw players spraining their ankles when jumping and landing on a dodgeball, getting their foot stuck underneath the dividing wall during playoffs, or even simply when trying to make a quick turn during opening rush. The “classic” ankle sprain is usually that of an inversion-type; approximately 85% of ankle sprains are of this type (Rifat and McKeag, 1996). 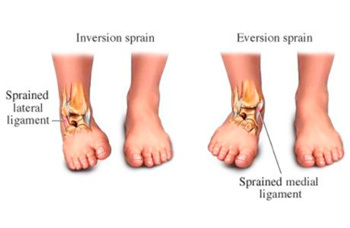 An inversion ankle sprain is when the foot rolls outward, damaging the ligaments on the outside (or lateral side) of the ankle. An eversion ankle sprain happens in the opposite direction, injuring the ligaments on the inside (or medial) of the ankle. You may have also heard of a high ankle sprain, which is an injury to the ligaments above the ankle. What should I do if I’ve sprained my ankle? Rest your ankle as much as possible by staying off of your foot, skipping a week of dodgeball, and avoiding activities that aggravate your ankle injury. Ice your ankle often for the first 2-3 days; try 6-8 times a day for 15-20 minutes each time (Harmon, n.d.). 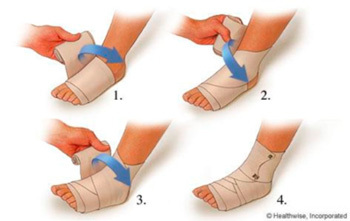 Compress your ankle by wrapping a tensor bandage to help keep the swelling from getting more severe (refer to Figure B). Elevate your ankle wherever possible: when sitting at work/school/home, put your foot up on another chair or coffee table. When sleeping, place your injured ankle on a pillow so that it is higher than the level of your heart. For more severe ankle sprains like a Grade III sprain, the R.I.C.E. protocol can be applied as well, but it is definitely recommended that you visit your family doctor or physiotherapist as soon as possible. Typically your ankle pain should lessen and your function should be better after approximately a week. If that is not the case at all, it is best to visit a healthcare professional. What can I do to prevent further ankle sprains? The best way to prevent further ankle sprains is a combination of exercises to improve strength/balance/proprioception in your ankle as well as bracing or taping the ankle during physical activities. 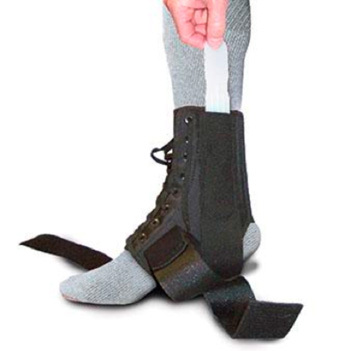 The taping technique for an ankle sprain is complicated and requires training to learn it. 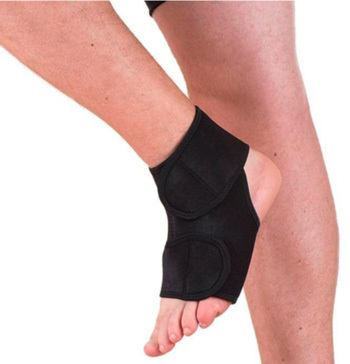 If you suffer from repeated or chronic ankle sprains, it is probably in your best interest to invest in a good ankle brace. Since I have gotten some questions from a few VDL players regarding ankle braces, I present to you all a ranking of different ankle braces. Where can I get these braces? 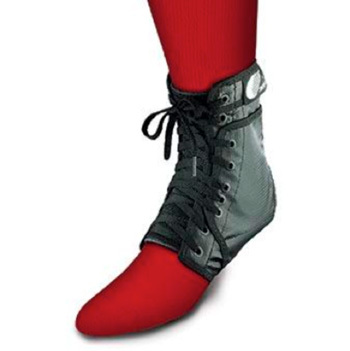 In my opinion, you should NOT be purchasing an ankle brace from a Loonie/Toonie/Dollar Store (you know who you are…). 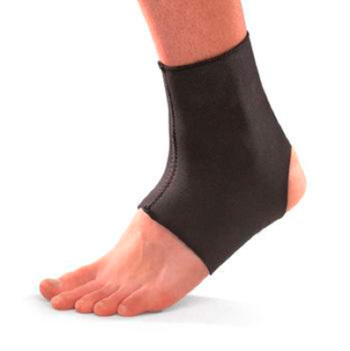 A quick internet search revealed that the neoprene sleeve-types and the stirrup-type ankle braces can be found at supermarkets and pharmacies. 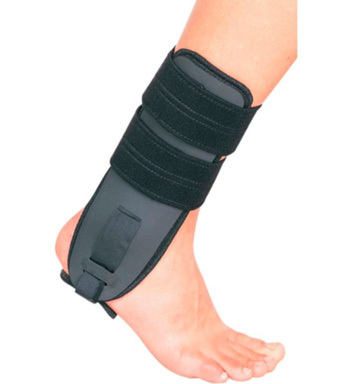 For the ankle braces with more support, you will need to visit a sports specialty store or a physiotherapy clinic. Harmon, A. (n.d.). Ice versus heat: Treating your injury properly. Retrieved on Sept 28, 2013, from http://www.thesportsfamilyclub.com/ice-vs-heat-whats-best. Hupperets, M.D.W., Verhagen E., Heymans W.M., Bosmans, J.E., van Tulder, M.W., and van Mechelen, W. (2010). Potential Savings of a Program to Prevent Ankle Sprain Recurrence: Economic Evaluation of a Randomized Controlled Trial. Am J Sports Med. 38(11). doi: 10.1177/0363546510373470. Lysens, R., Lefevre, J., Renson, L., and Ostyn, M. (1984). The Predictability of Sports Injuries A Preliminary Report. Int. J. Sports Med. 5:153—155. Rifat, S.F. and McKeag, D.B. (1996). Practical Methods of Preventing Ankle Injuries. American family physician. 53(8): 2491. Sprained Ankle. (2012). Retrieved Sept 28, 2013, from http://orthoinfo.aaos.org/topic.cfm?topic=a00150. Yeung, MS, Chan, KM, and So, CH. (1994). An epidemiological survey on ankle sprain. Br J Sports Med. 28: 112-116. doi: 10.1136/bjsm.28.2.112.